Pioneer Natural Resources Company (NYSE:PXD) was in 62 hedge funds’ portfolios at the end of the fourth quarter of 2018. PXD has seen an increase in enthusiasm from smart money of late. There were 58 hedge funds in our database with PXD holdings at the end of the previous quarter. Our calculations also showed that PXD isn’t among the 30 most popular stocks among hedge funds. We’re going to take a look at the new hedge fund action surrounding Pioneer Natural Resources Company (NYSE:PXD). 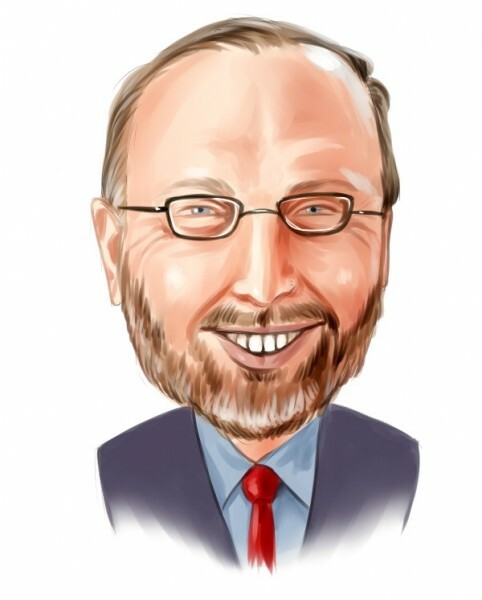 What have hedge funds been doing with Pioneer Natural Resources Company (NYSE:PXD)? Heading into the first quarter of 2019, a total of 62 of the hedge funds tracked by Insider Monkey were long this stock, a change of 7% from the second quarter of 2018. 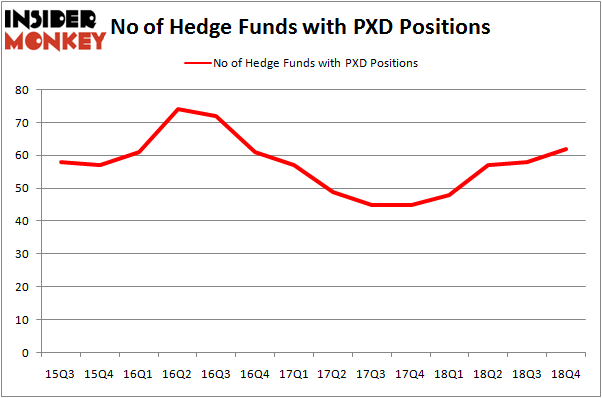 The graph below displays the number of hedge funds with bullish position in PXD over the last 14 quarters. So, let’s see which hedge funds were among the top holders of the stock and which hedge funds were making big moves. More specifically, Baupost Group was the largest shareholder of Pioneer Natural Resources Company (NYSE:PXD), with a stake worth $591.8 million reported as of the end of September. Trailing Baupost Group was Citadel Investment Group, which amassed a stake valued at $250.9 million. Point72 Asset Management, Millennium Management, and Adage Capital Management were also very fond of the stock, giving the stock large weights in their portfolios. As one would reasonably expect, specific money managers were leading the bulls’ herd. Encompass Capital Advisors, managed by Todd J. Kantor, created the most valuable position in Pioneer Natural Resources Company (NYSE:PXD). Encompass Capital Advisors had $55.9 million invested in the company at the end of the quarter. Gavin M. Abrams’s Abrams Bison Investments also initiated a $49.6 million position during the quarter. The following funds were also among the new PXD investors: Ryan Pedlow’s Two Creeks Capital Management, Farhad Nanji and Michael DeMichele’s MFN Partners, and Matt Smith’s Deep Basin Capital. Let’s check out hedge fund activity in other stocks similar to Pioneer Natural Resources Company (NYSE:PXD). We will take a look at Ingersoll-Rand Plc (NYSE:IR), T. Rowe Price Group, Inc. (NASDAQ:TROW), ONEOK, Inc. (NYSE:OKE), and Anadarko Petroleum Corporation (NYSE:APC). This group of stocks’ market caps are closest to PXD’s market cap. As you can see these stocks had an average of 36.25 hedge funds with bullish positions and the average amount invested in these stocks was $1000 million. That figure was $2388 million in PXD’s case. Anadarko Petroleum Corporation (NYSE:APC) is the most popular stock in this table. On the other hand T. Rowe Price Group, Inc. (NASDAQ:TROW) is the least popular one with only 22 bullish hedge fund positions. Compared to these stocks Pioneer Natural Resources Company (NYSE:PXD) is more popular among hedge funds. Our calculations showed that top 15 most popular stocks among hedge funds returned 19.7% through March 15th and outperformed the S&P 500 ETF (SPY) by 6.6 percentage points. Unfortunately PXD wasn’t in this group. Hedge funds that bet on PXD were disappointed as the stock returned 4.0% and underperformed the market. If you are interested in investing in large cap stocks, you should check out the top 15 hedge fund stocks as 13 of these outperformed the market.